Christened: 3 Apr 1740, Nayland Register. Samuel Alston of the parish of Nayland in the County of Suffolk and Mary Vanderzee a minor of this parish were married in this Church by Licence from the Bishop of London by and with the consent of Mary Vanderzee the lawful mother of the said minor, this 1st day of August in the year 1758 by me John Justamond curate. In the presence of Simon Cooper, Ja Vanderzee. In 1797 Mary was assesed for Quit Rent by the Manor of Nayland. Mary Alston takes by her late husband Samuel's Will "that Capital messuage held by deed called the Groom, also a piece of garden ground behind the messuage; also a piece of ground on which a house formerly stood now laid out into a garden called the Wall garden; also a piece of ground on which a house formerly stood and now in the same garden; and also another piece where a house known as Domesdales stood now in the said garden; also a piece with a house called Harlins. Also a piece of land formerly of Robinson laid into the yard opposite the church; also two pieces of land near the Court Meadow gate; also that messuage behind the church called Whitebread Hall late in the occupation of Thomas Glover". Earlier Mary Alston had been "admitted to land called Tremballs (3 rods) and also a piece on which formerly stood a cottage called Bretts Barn which Samuel had been admitted to in 1767 by surrender of John Williams". 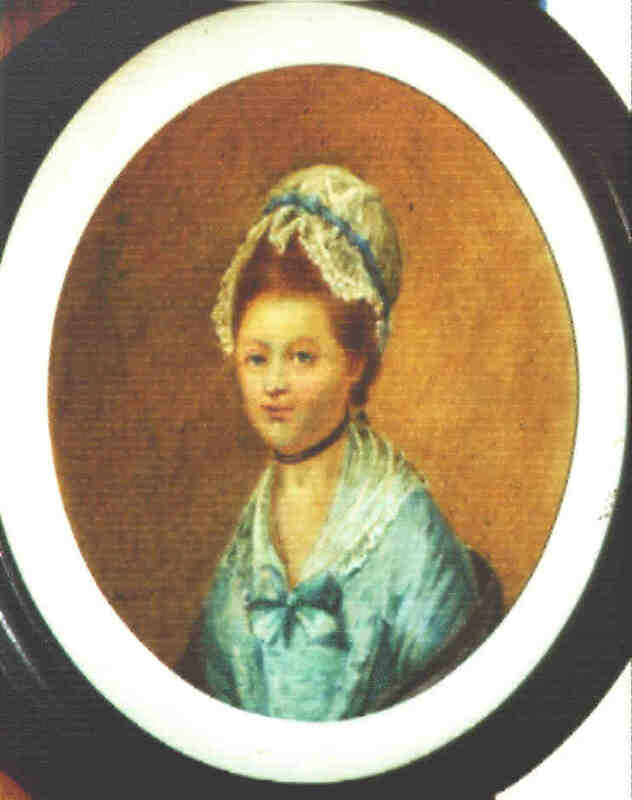 Mary's portrait by George Roth 1773 is endorsed "Mary daughter of Jacobus Vanderzee and wife of Samuel Alston of Nayland. Born 1740, married 1758, died 1800. Geo Roth finxit 1773. This is in the possession of Mrs Angela Wilson 2001. A copy done by Charlotte Alston is in the possession of Mrs Mary Burn of Little Bealings Woodbridge SFK. Mary was aged 63 at her death. THE WILL of MARY ALSTON of MELFORD, Widow. Hereby revoking all former wills so make and publish my last Will and Testament in manner following and so appoint John Mathew GRIMWOOD of Lincolns Inn Esq. and my son George ALSTON Executors hereof. Next I give and bequeath all my real and personal estate unto and to the use of the said John Mather GRIMWOOD and George ALSTON their heirs executors and administrators in Trust to sell dispose of and convert the same into ready money with all speed after my death into money upon the Trusts hereafter expressed and I declare that the receipts of the said John Mather GRIMWOOD and George ALSTON on the receipt of the Survivor of them his heirs or assigns shall be an effectual discharge to the purchaser or purchases of my said estates respectively and that he or they shall not after payment of his or their purchase money to my said Trustees or Trustee to be liable to see to the application thereof and as to the clear monies rising from my said real and personal estates respectively and from rents and profits of my real estates until sold. I dispose there of as follows, that is to say I direct that my said trustees or trustee shall in the first place invest in some of the public funds or on good real security which they shall be at liberty to vary at discretion such a sum of money as shall be sufficient to produce a yearly income of Seventy pounds for the support of my son William ALSTON and I direct them to apply such annual income for his clothing custody and maintenance during his present infirmity and in case of his recovery my will is that the said annual provision shall cease and in lieu thereof I give him the sum of six hundred pounds sterling and as to the residue of the monies to be invested for securing my said son Williams annuity after his recovery or the whole thereof after his death in case of his disorder not being removed in his lifetime I direct that the same shall sink into the residue of my property and be divided and applied as after mentioned. And I direct that the rents and profits of my real estate until sale shall be applied as the interest of the purchase money would go if the same were sold. Lastly I declare that my Trustees shall not be answerable for any loss that may arise to my property without their wilful defaults and that they shall be at liberty to retain their expenses and that neither of them shall be accountable for monies received by the other of them. In witness whereof I have here unto set my hand and seal this nineteenth day of December in the year of our Lord one thousand and eight hundred. Signed sealed published and declared by the above Testatrix as and for her last Will and Testament in the presence of us who in her presence and at her request have hereunto subscribed our names as witnesses - Mary Downing - Mary Alston - Priscilla Stranger. Probate granted 18th August 1803 to John Mather GRIMWOOD and George ALSTON. Details of funds from Marys estate to be transcribed from images: Alston-Alston Origionals-Alston 1- Picture 1 135.